*Please Note: A “Cruise Only” option is available upon request. 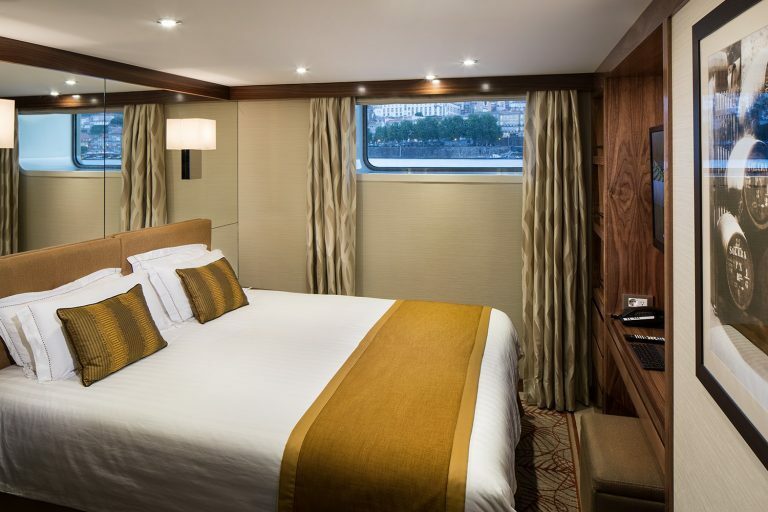 But the cruise ends in Vega Terron which is located about 250 miles (400 km) from Madrid, where the closest international airport is located. AmaWaterways does provide motorcoach transportation from the ship to the Westin Palace Madrid Hotel. It is an 8 1/2 hour transfer with a tour in Salamanca. The additional cost is $450 per person (for the transfer and one night at the Westin Palace Hotel in Madrid). Transportation to the airport on Tuesday, June 18, 2019, is not included and must be arranged on your own. 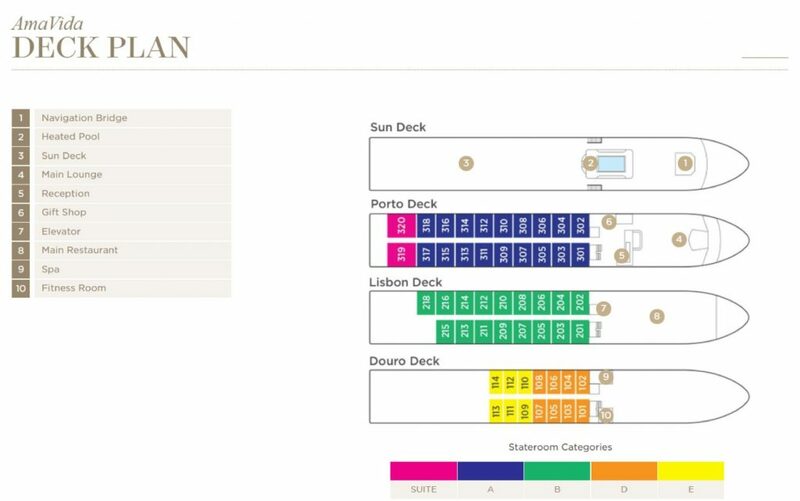 All rates are per person in USD for cruise only, based on double occupancy. 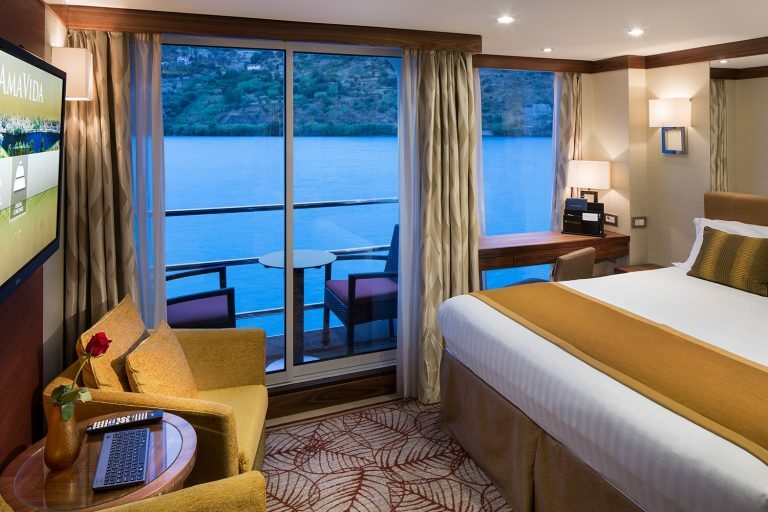 Unless explicitly stated that single supplement is waived, solo travelers in a double occupancy stateroom must pay an additional single supplement amount before receiving any discounts. Promotional rates are valid on select sailings only. 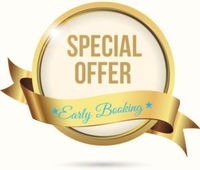 Promotions are valid only for new bookings only and restrictions may apply. Offers are not combinable with any other promotions/discounts, are limited to availability, are capacity controlled and are subject to change or termination without notice. Single Supplement offer may not apply to Suites. Other restrictions may apply. 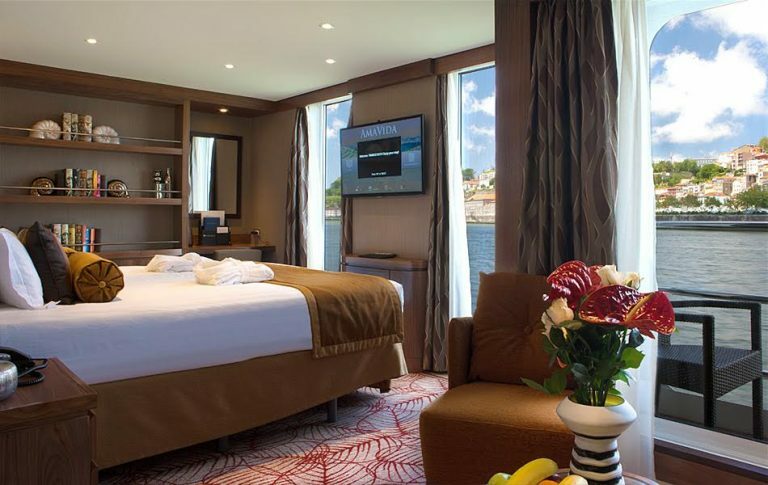 * Single Supplement for Cruise: Calculated at 150% of twin price; Suites 200% of twin price. * Single Supplement for Land: $450 per person. * Bedding Options: Option A: Two twin beds Option B: One bed (larger than queen size). Class E: Fixed Windows – 161 sq.ft. Class D: Fixed Windows – 161 sq.ft. 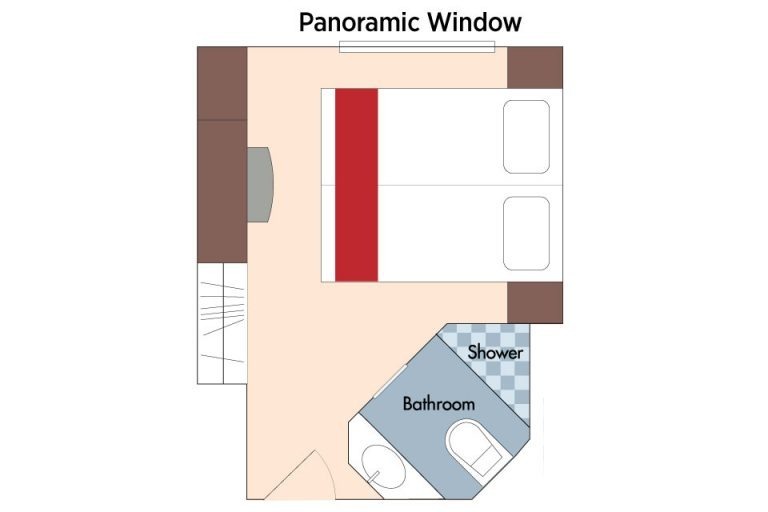 Class B: Balcony – 215 sq.ft. 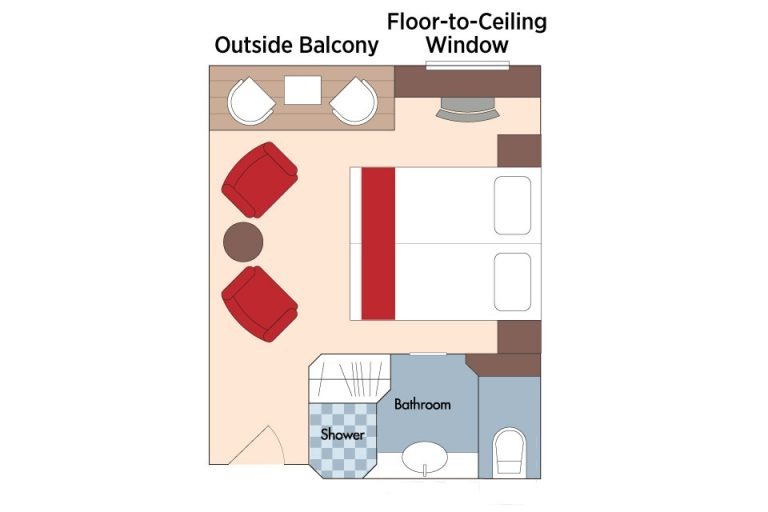 Class A: Balcony – 215 sq.ft. 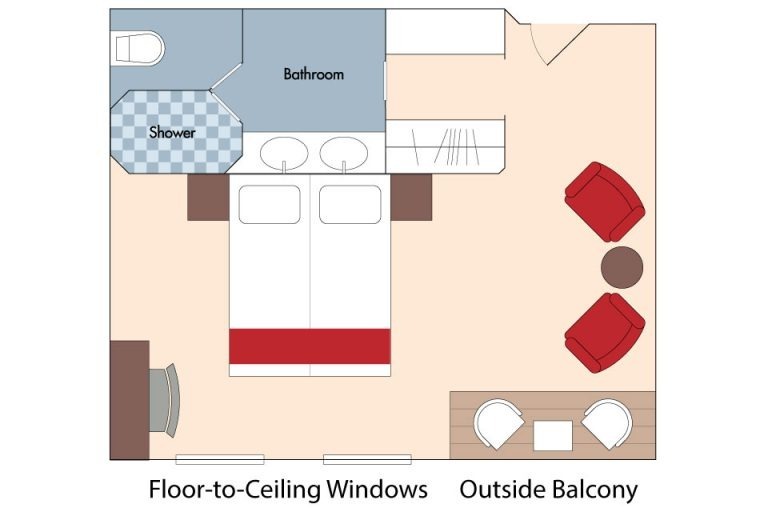 Class Suite: Balcony – 323 sq.ft. * For Post-Cruise Land portion of the program, a minimum of 20 paying travelers is required to operate the program as stated above. In the unlikely event that the number of participants for land program falls below 20 paying persons, Expanding Horizons reserves the right to amend the program and/or provide alternative arrangements. Please note: This tour and cruise program is created solely for Peachy Canyon by our tour operator, Expanding Horizons of Tustin CA in conjunction with AmaWaterways. The program will contain private meals, tours and/or visits to attractions outside of scheduled cruise activities. 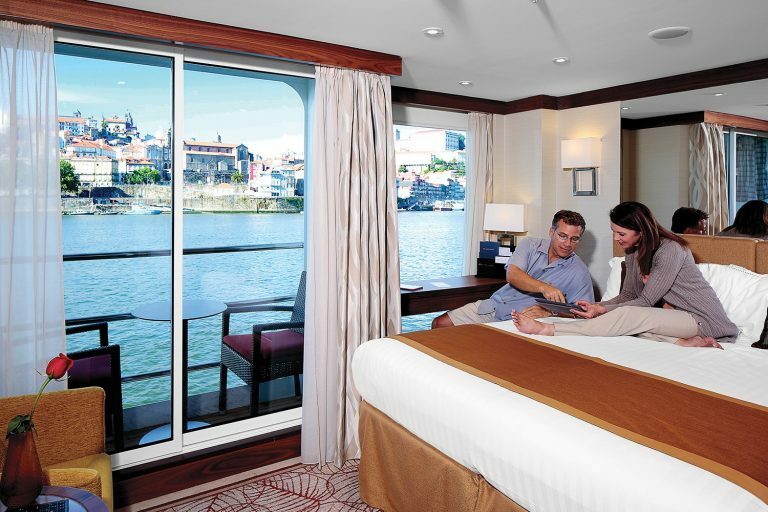 These additional services are exclusive to guests on this cruise who book their reservations with Expanding Horizons. Persons booking with alternative travel agencies will not be included in these activities.